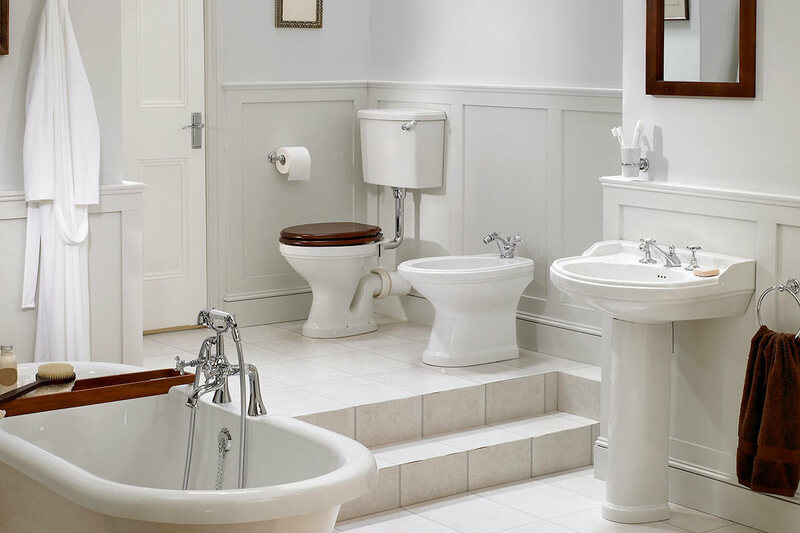 A well-tiled bathroom can be a thing of beauty, not just practicality and functionality. Of course, tiling a bathroom is a pretty permanent decision, so once you’ve decided on your colors and patterns, you can’t just change them like you can a coat of paint. I recommend visiting a few local tile suppliers and browsing through their showrooms, just to get an idea of what’s available, and what’s possible. Don’t just visit the big box home improvement stores, either—their tile selections tend to be pretty yawn-inducing, with not much variety or color variation. So here are a few tips on tiling, with some ideas you may not have considered before. Many people tile their bathroom with one or two neutral colors, thinking that those color palettes will work best for decorating. But increasingly, tile can be used as a creative accent, in a rainbow of potential colors, textures and shapes. 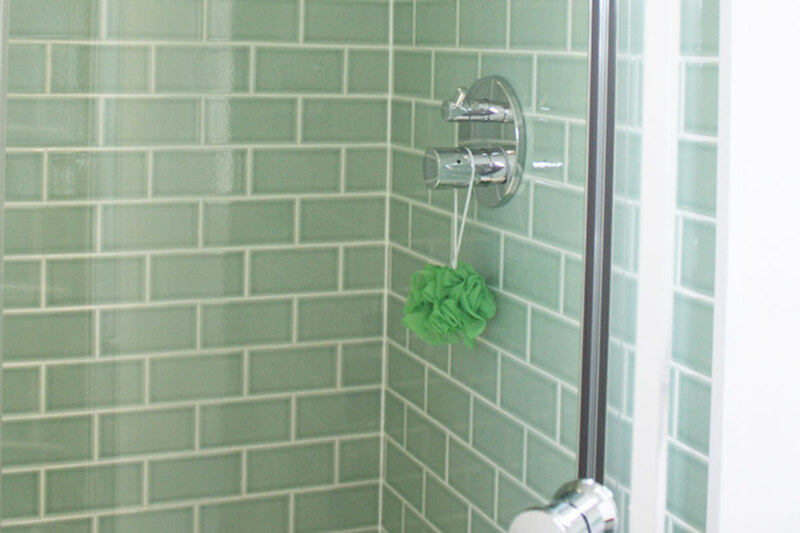 One creative bathroom remodeler tiled her walls with stripes of alternating cream and green tiles, making a bold and arresting pattern around the entire room. I built a custom-tiled shower enclosure in a small guest-house bathroom a few years ago, and I wanted the enclosure to match the white tile in other parts of the room. But I also wanted to incorporate some interesting design elements in the shower—so I used two large one-foot-square antique tiles with hand-drawn floral designs I found at an estate sale, and inset them in prominent places in the field of white tile. They provided a visual focal point, and everyone who entered that bathroom commented on them. 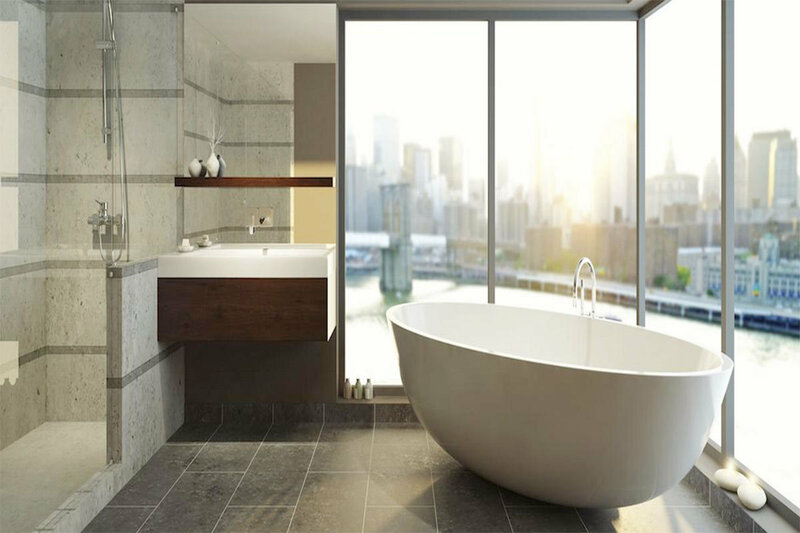 Glass tiles have been around for a long time, but designers and craftspeople use them more and more in modern bathrooms, as accent pieces, in the sink backsplash areas, or as graphic elements like borders, chair rails, or even abstract wall art. 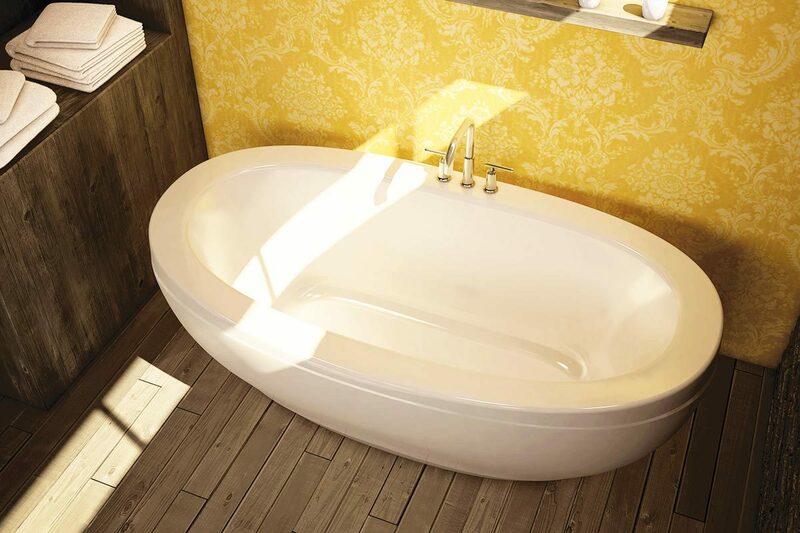 Conventional bathrooms use tile on the floor, or maybe in the bath or shower area. 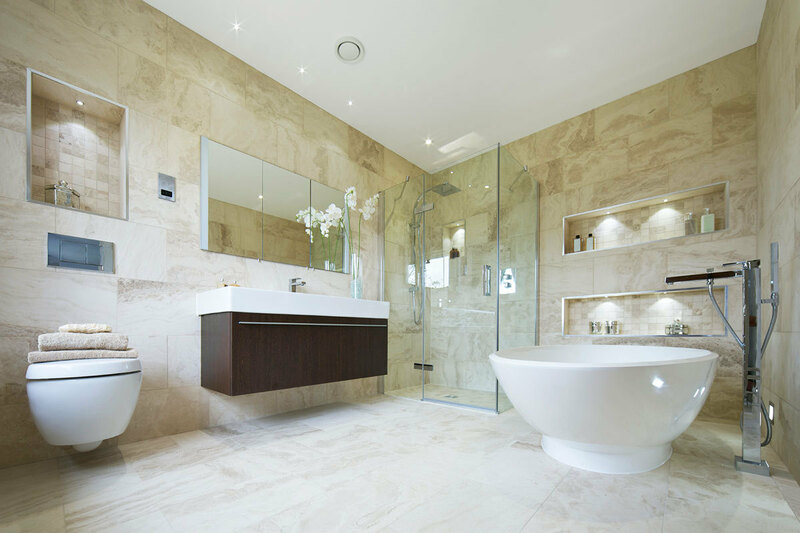 But tiled walls can have a huge impact, and give a bathroom the feel and look of a much more luxurious area. Alternating colors, or using floor tile as an accent color on a wall, can tie everything together. 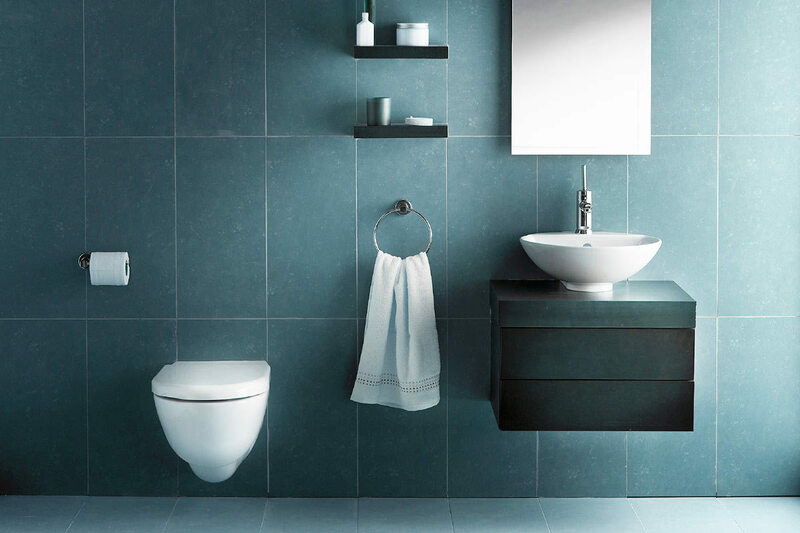 Did you know that tile manufacturers often make tile soap dishes, toothbrush holders, drinking cup receptacles and even towel racks to match their tile selections? Finishing off a newly-tiled bathroom with these specialty tiles makes the design seem much more integrated and well thought-out. 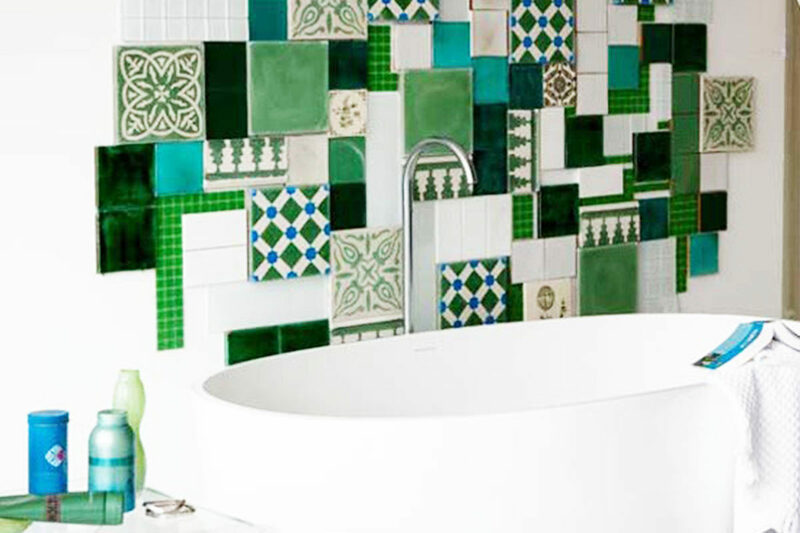 A creatively-tiled bathroom will increase the value of your home; and it will increase your enjoyment of it, too.